Getting out into the mountains on a horse is the antidote to urban fatigue. Smithbilts may be synonymous with Calgary, but locals know the truth: outside of Stampede week, the city is a lot more “caf” than “cowboy” these days. The best way to get in touch with the region’s Wild West roots is to go on a bona fide horseback-riding adventure in a stunning alpine setting. Luckily, there are several options within a couple hours drive of the urban sprawl. The following outfitters have more than a century of backcountry and horse experience between them and offer getaways suitable for everyone, whether you’re a tenderfoot or a grizzled old ranch hand. If being on the back of a horse is not your idea of a good time, but you still want a horsey experience, The Outpost at Warden Rock offers a softer intro to the cowboy life with their Buggy Brunch. 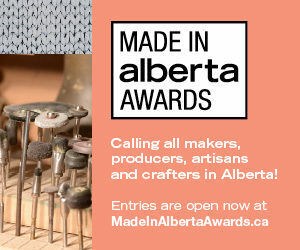 The adventure starts at Ya Ha Tinda Ranch, located 80 kilometres west of Sundre, and travels 13 km through prairie grasslands in a buggy or stagecoach to reach The Outpost. There, guests are treated to grilled buffalo burgers and smokies (and in cooler weather some comforting cowboy chili). The round trip takes three hours, with a two-hour stopover for dining and exploring. Timberline Tours offers 15-minute theme rides for kids. 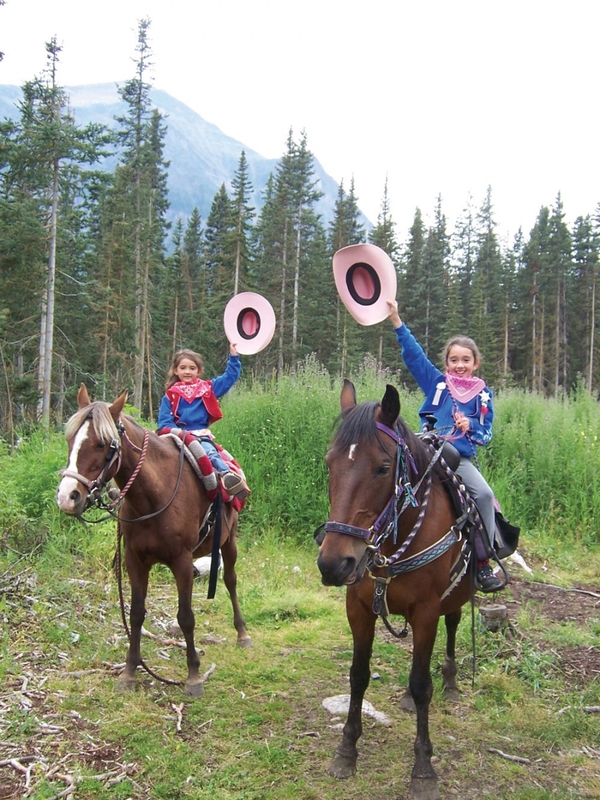 If you want to see some stunning scenery from the back of a quiet mount, but your horse experience is limited to the carousel (or you’ve got kids in tow and want to keep the adventure short) Timberline Tours, located near Deer Lodge at Lake Louise, offers customized rides in groups of no more than six. Co-owner Sue Peyto particularly loves setting up 15-minute theme rides for the young ‘uns. “The kids can dress up like princesses and cowboys and I set out lawn ornaments like bears and squirrels and we go looking for ‘wildlife’,” she says. Timberline also offers a variety of rides to scenic lookouts within Banff National Park. The 3.5-hour Little Beehive is Peyto’s favourite and is suitable for all levels and ages of riders. “You can see halfway to Banff up there,” she says. The Great Divide Ride by Anchor D Outfitters looking out at Baril Peak. So you know the difference between the front and back end of a horse and can tolerate more than a few hours in the saddle without walking funny. A day ride with Anchor D Outfitting – located an hour’s drive southwest of Calgary – might be in order then. The Ranch Ride leaves from Anchor D at 10 a.m. and heads into Kananaskis Country, returning by 5 p.m., while the Mountain Day Ride, which leaves around 9 a.m. and returns to the trailhead by 5 p.m., is a full day of riding in the high mountains west of the ranch, reaching an altitude of more than 7,000 feet. Both rides include about an hour for lunch to let riders pause to take in the scenery. This is the same countryside where Clint filmed Unforgiven and Leo filmed The Revenant. “It’s pretty rugged stuff,” says Dewy Matthews, Anchor D’s owner and operator. Pro tip: Ask about the Junction Canyon ride with the “secret” waterfall. Anchor D also offers seven-day adventure trips that are accessible to most skill levels. 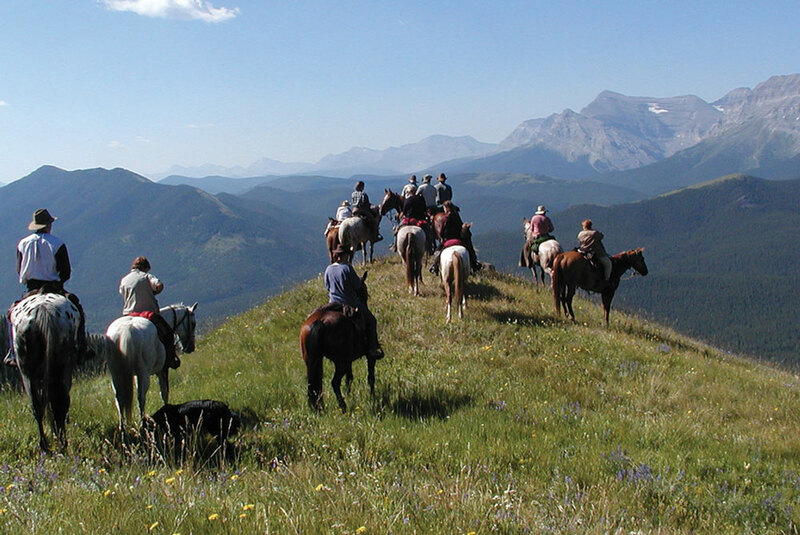 The Great Divide ride, however, is an epic, once-in-a-lifetime adventure if you love exploring on horseback. The ride moves through the Highwood Range, where you’ll see petrified horn coral from a time when the Pacific Ocean covered these mountains. The ride climbs to 8,000 feet and crosses into B.C. while chuckwagons follow along old frontier wagon trails, setting up camps for weary riders, complete with off-the-ground cots and roomy tents. Matthews has been riding and guiding on these trails for 32 years, freely sharing his knowledge (and all the bad jokes guests can handle).